This package includes everything: horseback riding mountain camping and all the pleasures and thrills of the Andes. Riding out and camping in the mountains for a night or more means that you can go higher to a remoter part of the beautiful cordillera of Santiago. 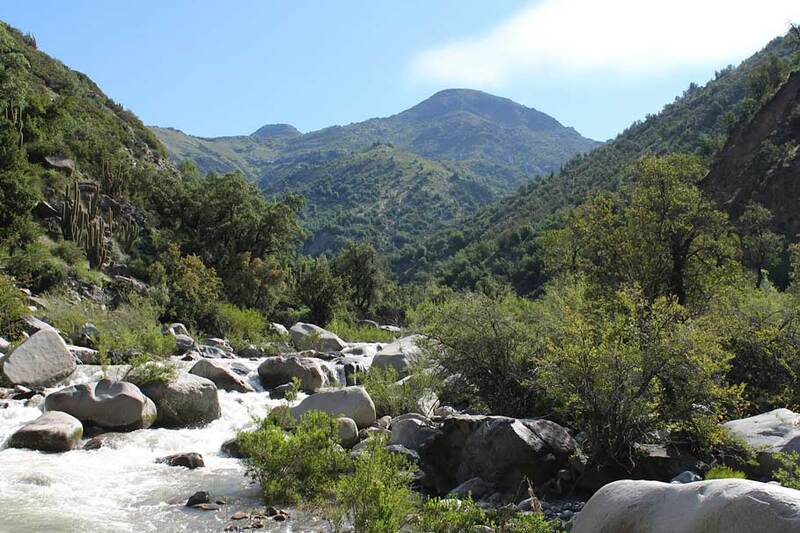 We always camp near a river in a sheltered spot but with close access to the wilder parts of the mountains. If there is a moon, the light is wonderful; if there is not then you see the stars even better. With 2 nights or more you can get even higher and the views are even grander. 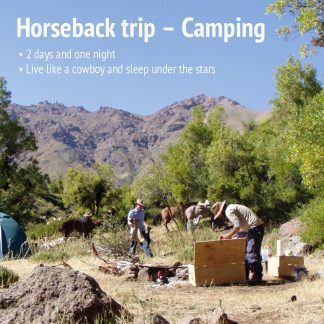 Several people have commented that you cannot describe camping in the Andes on horseback: you have to do it yourself to understand the magic. This is a horse riding holiday of a very special kind and combines the pleasures of horseback riding and mountain camping. 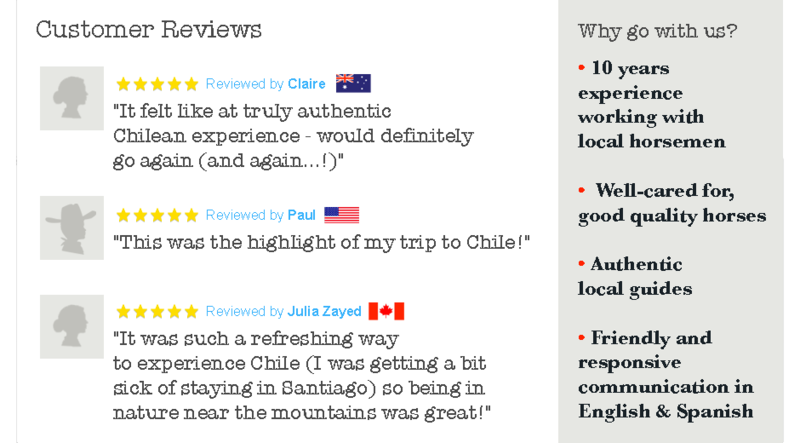 For anyone who enjoys an adventure, riding up on horseback to camp in the Andes mountains. These equestrian camping holidays are suitable for everyone, first-timers and experienced riders. We do not go to conventional ‘camp sites’ but rather to idyllic spots in the mountains where we stop and set up camp. All the food and baggage is taken up on mules and our guides make you comfortable with a camp fire to keep warm and to cook the supper on.